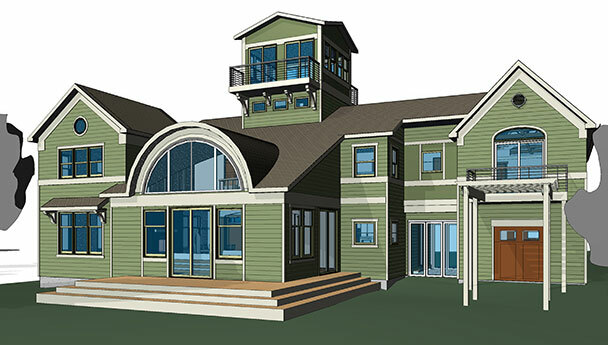 smartDESIGN designed a 3,900 SF custom house at the top of a bluff overlooking Lake Ontario. The first floor provides an open floor plan with a large, open family room with a barrel-vaulted ceiling facing the lake. The second floor has an open loft and two bedroom suites plus a beautiful master suite with great natural light and views. 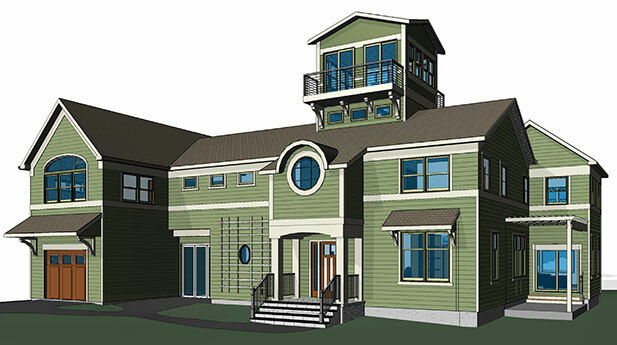 Climbing higher, there is a cupola tower with decks on the north and south sides and 360 degree views including orchards to the south and the lake to north.